If you’ve been taking photos on your automatic camera for quite some time, you know that a good number of the photos you took have turned out quite a bit disappointing. They’re could be too dark, too light, or blurred. Most of these problems have to do with incorrect “exposure”. No matter what type of photography you do, proper exposure is the key to get a photograph that looks right. Exposure in photography is the amount of light that hits your camera’s light sensors. Correct exposure means putting correct amount of light on your camera sensor. Too much light and you will have an over-exposed picture. Not enough light and your photo will be under-exposed. How Correct Exposure is determined? Light enters through your camera’s lenses, then passes through a hole located inside the lens called an aperture, and then hits the film or the digital sensor. Every camera has a Light meter, a Metering system and an Exposure meter. Light meter measure the amount of ambient or available light & Metering system determine and calculate the correct Exposure based on light meter’s reading for that particular scene. 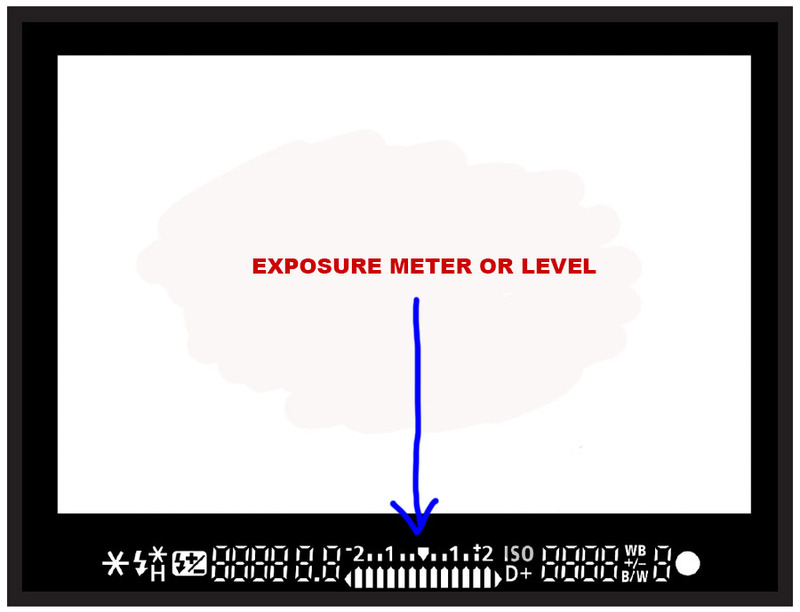 Depending on your camera setting the Exposure meter will display the calculated exposure on a scale (usually on camera’s view finder or LCD panel) with “zero” indicator at the middle. “zero” means correct or balances exposure. Less than “zero” or “minus” means under exposure or insufficient light. More than “zero” means over exposure or too much light. Two things governs the exposure: the Amount of available light & Controllers of light. The key to all photographs, whether shooting with film or digital cameras, is light. It will determine how will you compensate or balance the exposure. The rule is simple. If there is too much light you have to reduce it to correct the exposure and in low light situations you have to increase light supply. In automatic mode, your camera will adjust or balance the right amount of light for you by selecting the right settings with the help of controllers (Aperture, Shutter, ISO), but in manual exposure mode you have to set them on your own. There are three parameters which controlls the amount of light. Together they form Exposure Triangle. And the beauty is they can balance each other. The flow of light that goes into the camera is controlled by aperture. Shutter speed controls the amount of time that the light is allowed to stay on the photosensitive material. The ability to absorb light by the sensor is controlled by ISO.